The only site they still have is BingoHeart; however, when I tried to log in, I got the 'account disabled' message and that I should contact them via the link on that page. That link was used and five days later I got the mail returned to me as 'undeliverable'. Then I tried using support@ that I had in my email contact list from a while back and five days later that was also returned as 'undeliverable'. Does BPU have any way to contact BRN and help me find out why the account has been disabled, since they obviously can't use a 'multiple accounts' rule now that they only have one site in their whole network? I'm sorry I couldn't help more as all the searches I have done thats all I come up with. I've emailed all three of those email addresses with no response from any of them....all mail gets returned to me a week later as 'timed out' or no such address. No links on the site works except for the 'newsletter' and it's over 5 months old. I received two emails for two of the names I registered with welcoming me to the site, touting all the good stuff they have there, and a copy of one (both are identical) is below. Welcome to Bingo Heart, part of The Bingo Room Network!!! We offers an unbeatable bonus of up to 600% on your first three deposits. Talk about MORE bingo for your buck!!!!!! When you have successfully deposited, click on "play bingo". Here you may select to play any of our Bingo and Slots games. Do you need any help getting started??? Get fast customer support-simply log in and click on "Support"
LET’S KEEP YOU COMING BACK FOR MORE…… We offer incredible promotions that just keep getting better and better!!! ***And don’t forget … you can earn BB’s by playing our chat games with our fabulous CM’s. Can you believe it??? We have some of the most unique and fun promotions of any bingo site. Do you like to participate in Team bingo?? Slots tourneys?? Special holiday themed promotions?? Well if you've answered yes to any of these questions, than we are the bingo site for you!!!! Everyday we have a hot new promotion for our roomies. Just check out our promotions link every single day to see what's exciting and new. We have a ton of celebrities in the house-Our CM team has won many prestigious awards including the CM OF THE YEAR award for 2004 - WTG CM's! Come and enjoy 18 hours of chat games daily with our friendly chat monitors and let the fun ... (and winning) begin. Can’t wait to meet up with you in the chat room. See ya soon…….remember, you can’t win, if you don’t play. MsSpankerella - Biggest Win in BRN history!!!!! $5020.00 in 5 Reel Slots!!!!!!!! The large areas that are blank are actually graphics showing all of their networked sites; however even in the email they don't show up because they don't exist. I now wrote to this Carrie person asking her if her site even exists anymore and am waiting to see if that email gets returned to me as well. Something is being triggered at the site since new registrations take hold and an auto response goes out, but for all intents and purposes, it appears as if the entire network has bit the dust. NMM, i tried my account at bingoroom.com, and it is still active, although i never deposited there,but they "upgraded" and "modified" my account name. You have sent an email to. If you are a player and your question is related to any of the following issues we encourage you to log in and open a help desk ticket for more immediate assistance. If you have forgotten your password please use your bingo site's forgot password process. This is an auto reply email and will not be responded to, however we can assure you that urgent issues will be forwarded to the appropriate person accordingly. NAVYMANS-MOM Please refrain from posting copies of emails that contain long continuous lines that you need to scroll over to see the entire thing. If it gets picked up by the recent post program it crashes our BPU Home Page. I had to delete the post to get our home page to display again. sorry about that...I'll repost with only pertinent information. I sent a new email using the @bingocommunications.com address supplied and received an automated response saying somebody was looking into my email. I also received another email from Carrie inviting me to their 'new' site called IFUNSPACE.COM but it was sent to the new alias I deliberately set up in order to see if a new account could get access to BingoHeart. Although the two new accounts I set up received canned emails welcoming me, and I was able to log in with those names, none of the links on the site would work and the email address she supplied in those emails were 'dead' and not deliverable. None of those canned responses had the bingocommunications.com address listed. It appears to me that BRN is going out of their way to make sure that trying to get in touch with them is as difficult as possible...perhaps as a way to stall payouts for those who are actually able to get into BingoHeart and deposit? The thing I can't understand is that godspellfan was able to log in, get his/her account updated with a new username, and gain entry to the site...however, neither of the NEW accounts I set up were able to do anything other than register and log in because none of the links on the site would work, including HELP. Something is definitely going on with BRN....and players are being kept in the dark about it all, including notice that the rest of the sites in their network are gone. What has happened to the accounts for people who can't get into any of the sites anymore if they have money sitting there? I've written to the 'new' email address that godspellfan supplied and will let you know if I receive a response and what that might be. OK....going by godspell's info, I went to bingoroom.com and tried to log in there (this is prior to looking around on the homepage), and got an XML error that it couldn't load. "This site is owned by Bingo Worldwide Limited".....so I did a Google search on that since it didn't say anything about BingoRoomNetwork, and jeeezzzz,,,Google came up with a link to BINGOMANIA. "This site is owned by Bingo Worldwide Limited". "This site is owned by Bingo Worldwide Limited"
So now I'm concerned about Mania....I feel like I've been punched in the gut here. 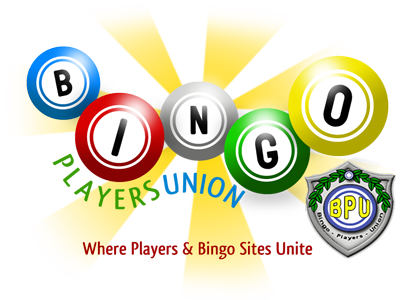 According to Google, Bingo Worldwide Limited also owns BingoLOL (A2ZBingo network), BingoVega, IPlayBingo network (they have also added BingoPalms to their network of sites), CasinoVega, and BingoMania. Its true, the bingoroom.com does have a link to Maxis blog, so, i really dont know. OK Maybe I am the one confused here now. This thread started out as the BingoRoom NETWORK issue. Now it is down to Bingoroom.COM. What I see here is several Bingo sites belonging to BingoWorlwide Limited. What all members should know is that there are probably NO sites OWNED by the operators who work them. Most belong to a larger casino type business with bingo as a side game. One thing I can say to you all is it would greatly help BPU membership if you were to put the links to the information you are bringing forward. Check the dates on the links to make sure they are current. NMM as far as asking Mania if they are connected to IPlay, anyone can do that. The reason they are on our approved list is because they meet our guidelines concerning player friendly rules. I have asked before about connections to one site or another and have always received the run around. Let me once again remind EVERYONE.... BPU does not stand good for the way a site is run. We have open commmunications with those on our approved list and have determined them to be the best of the best out there concerning playthru (0-3x), NO gifting, NO recent history of non payment or refusal to communicate with players concerning issues. THESE are the reasons they are on the list. It seems that after as much time as members and staff at BPU have put in trying to "reach" one in a managerial position as a means to go over the heads of the operators of ANY site, that you would all be aware ownership is hard to find out. For all we know ALL sites may belong to one company and is just "sublet" to different operators. We simply do not know. And this is information not given freely.... or we WOULD know. So .... I think the best thing to do with this thread is stick to the topic it began as.....BingoRoomNetwork. Obviously they are not the same as bingoroom.com. This could and has caused confusion that may bring harm to innocents. Until we have ascertained something as a fact, it remains an opinion or simple speculation. Maybe this will open some other eyes as to what staff of BPU does "behind the scenes". Many hours of research are put in for this information we bring forward by staff AND members. Discussing it, it the ONLY way to come to any conclusions, but please let's always try NOT to confuse one site with another as it may be unfair and cause irreparable damage to one that doesn't deserve it. We are about being fair... and that is fair all the way.... to players and sites. We stick to the protocol, find our facts, cuss and discuss, and post our findings with as little confusion as possible.I have sent an email to, support(at)bingocommunications.com let's see how/if they respond.